Dramatist, theatre practitioner, novelist, and painter, August Strindberg's diverse dramatic output embodied the modernist sensibility. He was above all one of the most radical innovators of Western theatre. This book provides an insightful assessment of Strindberg's vital contribution to the dramatic arts, while placing his creative process and experimental approach within a wider cultural context. Eszter Szalczer explores Strindberg's re-definition of drama as a fluid, constantly evolving form that profoundly influenced playwriting and theatrical production from the German Expressionists to the Theatre of the Absurd. Key productions of Strindberg's plays are analysed, examining his theatre as a living voice that continues to challenge audiences, critics, and even the most innovative directors. 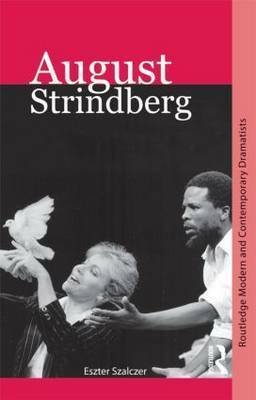 August Strindberg provides an essential and accessible guide to the playwright's work and illustrates the influence of his drama on our understanding of contemporary theatre. Eszter Szalczer is Associate Professor of Theatre at the University at Albany, State University of New York. She is the author of Writing Daughters: August Strindberg's Other Voices (2008), as well as numerous articles and book chapters on Strindberg both in English and Swedish.